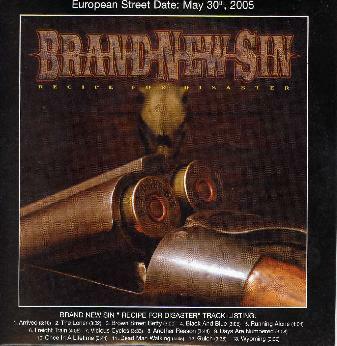 Brand New Sin - "Receipe for Disaster"
I have never heard of these guys before, as I guess they have never toured in Europe. This is damn good southern inspired heavy metal rock and roll with some good hooks!. Think a mix of AC/DC, Molly Hatchet and Black Label Society and you get Brand new Sin. The vocalist has a big, sometimes angry voice, but mostly a good southern like growl. Most of the songs are in the 3 minute range with few guitar solos (but some) and rock like hell. The two acoustic tracks are really excellent ("Once in a Lifetime", "Running Alone"). I hope these guys come overseas to support this release as I am sure they rock hard live! Great CD.